It’s easy to assume that taking care of newborn twins is like floating along on a cloud of heavenly bliss…. nothing but sugar and spice and everything nice! After all, just look at their photos on social media; not one, but TWO little babies with adorable little faces and matching outfits! It’s enough to make our hearts overflow with an abundance of love and sunshine, that’s for sure. 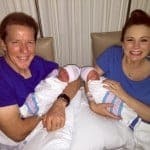 But the truth of the matter is, although there is a tremendous amount of joy that comes along with it, having twins (or triplets or more), especially if they’re your first babies, can be extremely overwhelming at times. And that’s putting it lightly! 1. 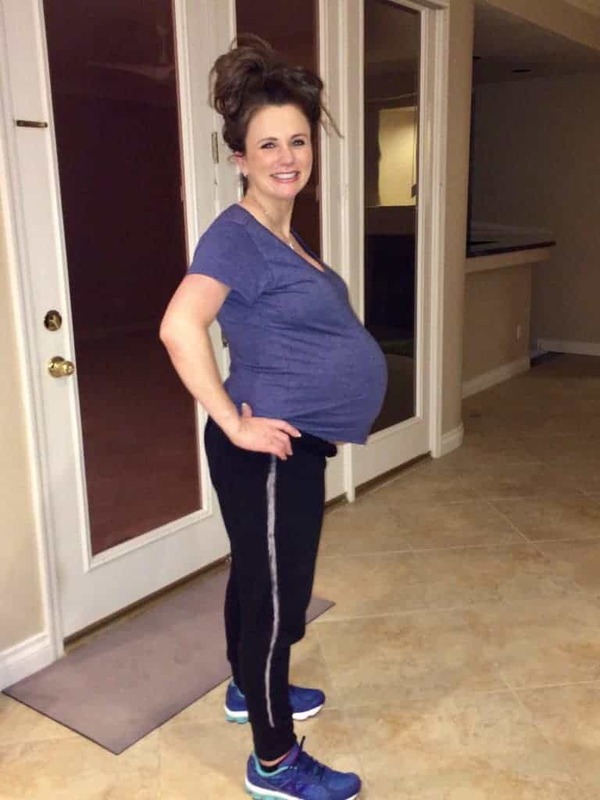 First and foremost – Moms: Take it Easy During the Third Trimester of Pregnancy! I know, I know; easier said than done, right? While I was pregnant, I read all about the importance of this to help prevent preterm labor, but since my doctor never gave me orders to rest or take it easy, I didn’t. 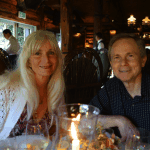 I pushed myself as far as I could each and every day, and even though I was extremely uncomfortable and experienced a great deal of pain those last couple of months, my days were always crammed with as much as I could possibly tolerate. My goal was to make it to 37 weeks gestation, but I only made it to 35. I truly feel that if I would’ve just put myself on moderate bed rest, those little guys could’ve “kept baking” a little bit longer, and possibly avoided that time in the NICU. This photo was taken one week before my water broke. We were in the middle of moving out of our rental home in Las Vegas on this day… I remember that each and every step I took was a huge effort! Boy, did that hurt. 2. Choose Your Pediatrician WAY in Advance – Make life easier and less stressful on yourself by choosing your babies’ pediatrician during your second trimester. This way, you’ll have more energy to meet with and interview at least three different doctors. The goal is to find someone you trust and seems to be a good fit for your family. Something to be aware of: most pediatricians place a limit on the number of new patients they’ll take per month, so aim to find your doctor before they’re all booked up. 3. Spend Money on the Right Things – While I was pregnant, I spent WAY too many hours online shopping for cute crib bedding with matching lamps, curtains and other fancy nursery décor. We had decided on a Winnie the Pooh theme for the room since that was Jeff’s nursery theme when he was a baby. We even considered hiring a professional artist to come out and paint a big Winnie the Pooh mural on one of the nursery walls! Yep; with all of the excitement of having twins on the way, I got sucked right in and scoured the Internet for the cutest nursery décor items possible. It wasn’t until a pregnancy specialist that I was seeing looked me straight in the eye during one of our check-up appointments and said, “Don’t spend your money on that kind of stuff. 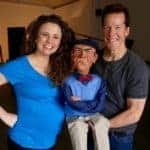 You have twins coming; spend your money on help, because you will need it.” We expected him to chuckle or smile after saying this, but he didn’t. Nope – he was very serious and completely straight-faced, because boy, he meant it. My search for cute bedding ended that day and we also let the mural artist know that we had a change of plans. Instead, we started researching post partum doulas. I also had a talk with my mom and asked how often she’d be available to help out. Thank the heavens above, she said she would gladly help any time we needed it. 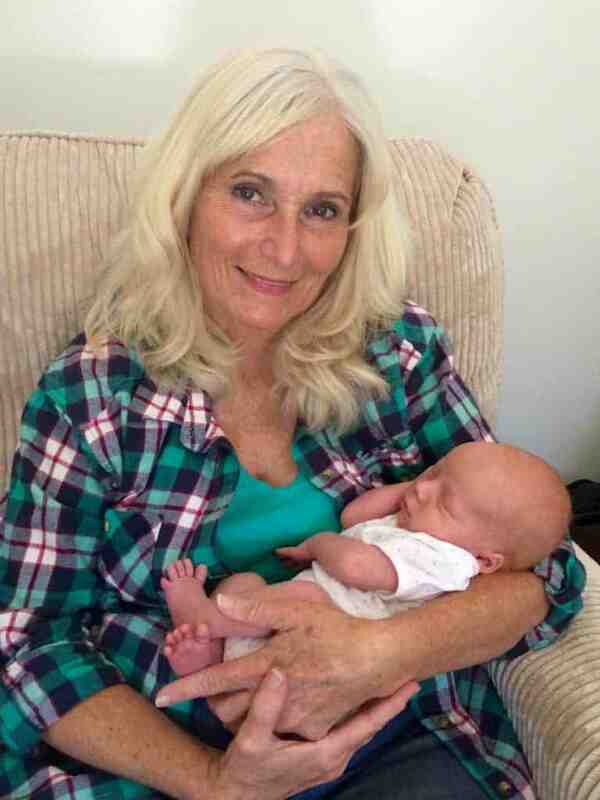 My mom with two week old baby Jack. Getting extra help lined up was by far one of the smartest decisions we made during those last couple months of pregnancy. 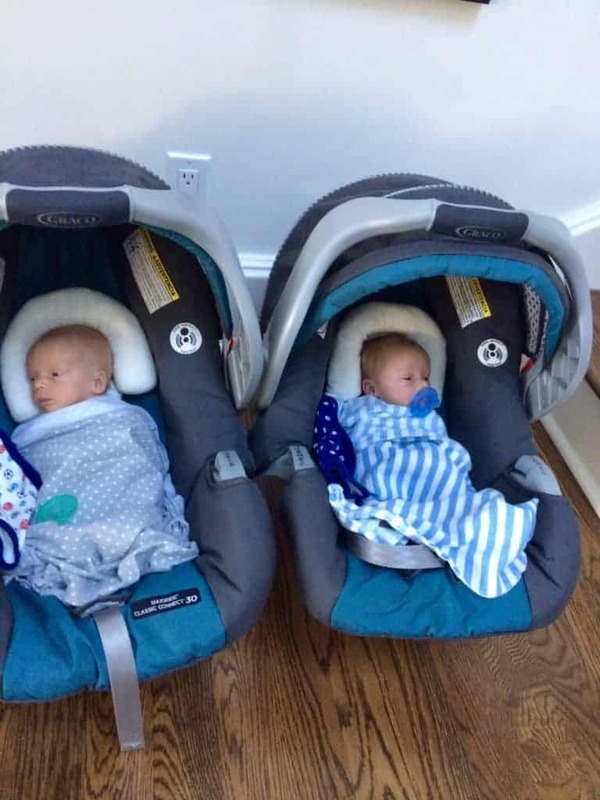 And after the boys were born, I realized all we really needed in their room were cribs, mattresses, fitted sheets, a dresser that we doubled as a changing table, one baby rocker or bouncing chair, baby monitors, and two comfortable rocking armchairs for the adults. That’s it. After all, crib bumpers and quilts are cute for photos, but considered completely unsafe when inside cribs with the babies by most experts. This is what the boys’ room looked like just before they were born. Thankfully, the cribs and dresser/changing table showed up shortly after. As for clothes, don’t waste your money on a bunch of fancy newborn outfits or shoes. Stick with soft, stretchy, comfortable onesies that are easy to get on and off. 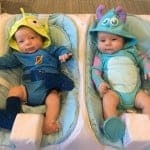 Those first few months with twins are a whirlwind, so it’s likely you won’t have much time, patience or energy to play dress up. As for shoes: Skip ‘em. They won’t need those until they start walking… outside. I’ll say it again: keep the “stuff” to a bare minimum (even though there are some really cute baby items out there!!) and instead put your money towards an extra helping hand. Even if it’s for just one night or day of help; that little bit of extra rest will help you be a better parent. Trust me. 4. 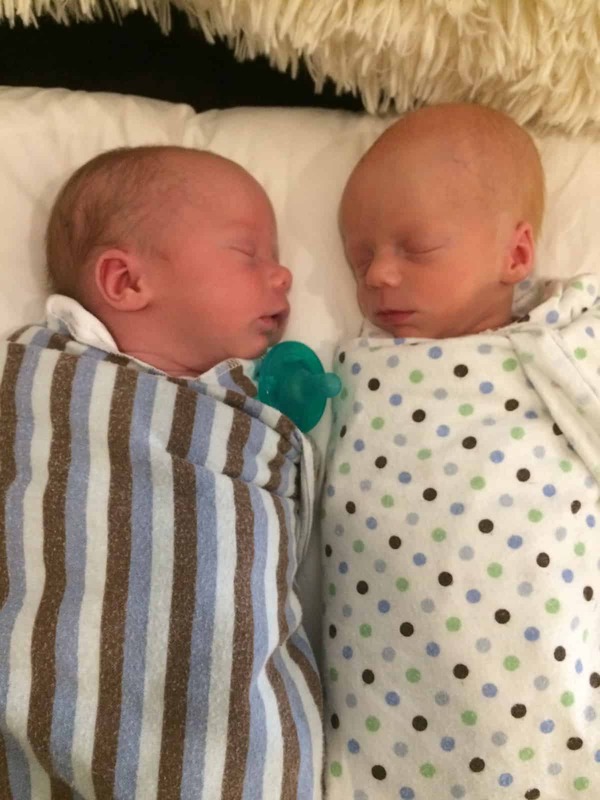 The Best Two Pieces of Advice I Was Given Before the Boys Were Born – I really wish I could remember which blog it was that I read while pregnant that stated this so I could give the writer proper credit. 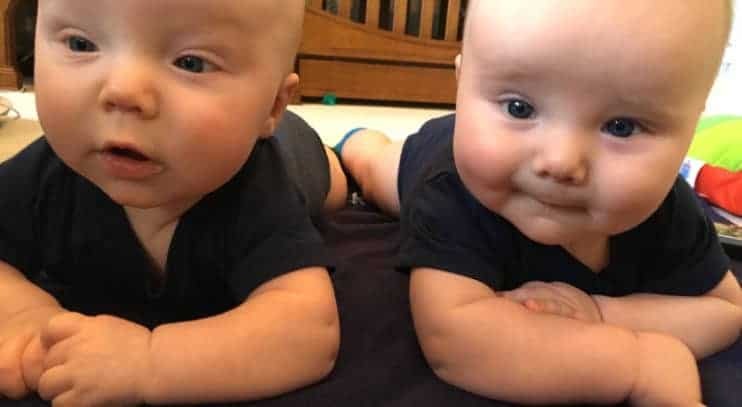 She made a list of top advice to parents of twins similar to the one you’re reading now. And although I only remember this one piece of advice from her entire list, it has been extremely valuable to me over the past year. Her advice was this: Keep a sense of humor. After all, laughing is much better than crying, screaming or having a nervous breakdown. Now, take this little nugget of advice and stick it in your back pocket. You’ll know when you need it. This was me attempting to hold both of them at once when they were just a week and a half old. I remember at this moment I felt stressed out and tired, but VERY happy that they stopped crying! My good friend, Susan Egan, a mother of two young girls, gave the other great piece of advice to me. Before our boys were born, she said this: “Do yourself a big favor and avoid long sleeved, footed onesies that have lots of snaps. Instead, always opt for the ones with zippers! ALWAYS. Wiggly, impatient babies and snaps do not go hand in hand. Especially when they just need a quick diaper change in the middle of the night.” She was absolutely right. And even now, I always consider how easy any item of clothing would be to take on and off before buying it for the boys. This was the routine for the entire day. Looks simple enough, but there were many times that one little guy would decide that he was absolutely starving 20-30 minutes before his scheduled time. This happened a lot due to growth spurts, and, well, because they’re little humans and not robots! Having bottles made in advance was a life savor in this situation. Poor little Jack! So exhausted that he couldn’t stay awake to finish his bottle. Overkill? Perhaps… But you’d be surprised how often you refer back to the chart, especially when it comes to tracking their naps. 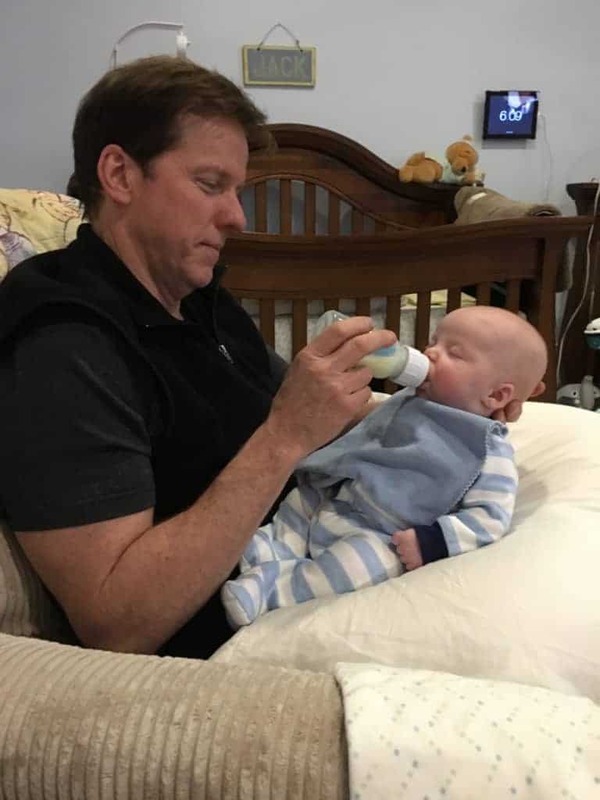 If you jump online, you can find information on the maximum amount of time a baby should be awake between naps at any given age, which I found very helpful. With a log to refer to, I was able to keep track of when they needed to take their next naps, because in those first four months, their sleep schedules seem to be all over the place. You can’t force a baby to sleep, after all! 6. Be Fair to the Babies – This one is simple, but super important: a rested and fed baby is a happy baby. If you’re like me, you’ll hardly leave the house the first couple months after the babies are born. But when you’re finally ready to start braving the world with your twins in tow, even if it’s just a simple trip to the grocery store, know that the very best time to head out is right after they wake up from a nap and they’ve had a meal. Otherwise, your babies may be miserable, which means you’ll be miserable. (The one exception to this is if your babies sleep well in the car, you have a nap-length drive ahead, and it’s naptime when you head out.) So, if you have a shopping trip planned, be ready to feed and then hit the road as soon as the babies wake up! In this situation, they’ll likely feel fresh, full, and happy to be out of the house. 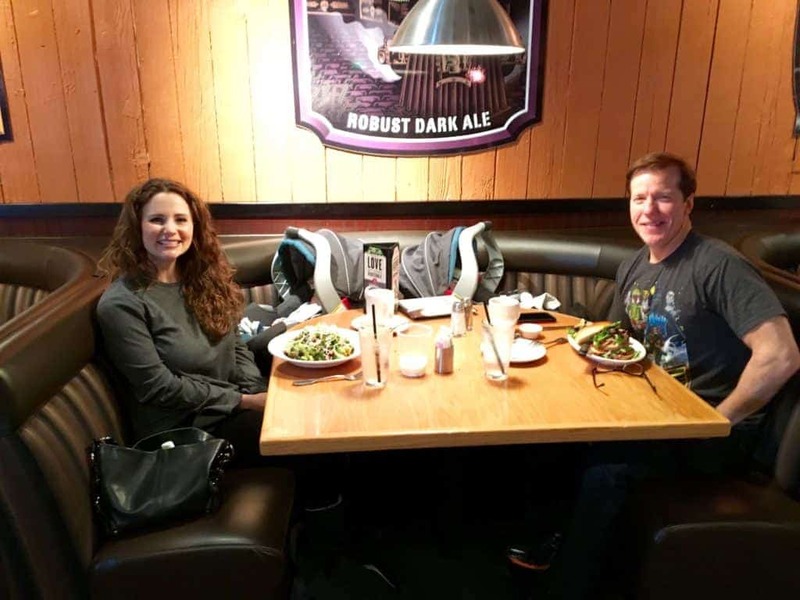 This was our first time taking the boys to a restaurant! If you look closely, there are two carseats with babies in them in that booth with us. 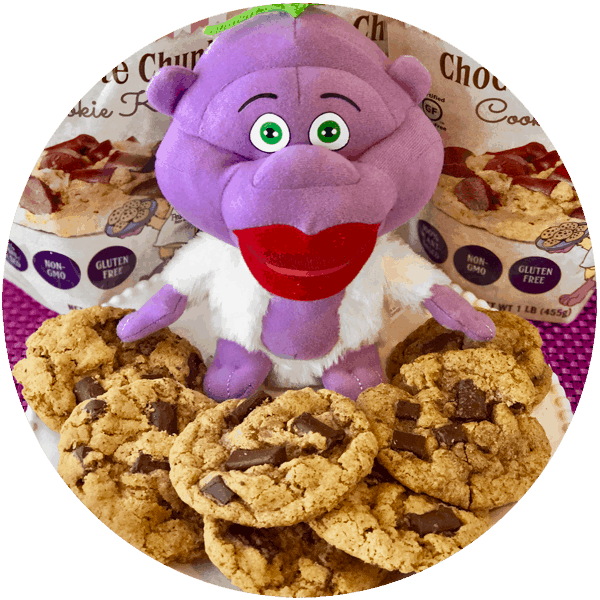 Hold them close and start singing or “shooshing” (shh-shh-shh) softly in their ear as you sway, lightly bounce or rock them in your arms. Even if they seem to be crying too loudly to hear you, keep it up. Chances are, at some point they’ll stop to take a breath and notice a soothing and comforting sound while feeling your closeness. If this doesn’t work, have someone else in the house give it a try. Sometimes just switching up the scene by having someone new hold them does the trick. Find a way to “change the subject.” Jeff had a lot of luck with getting the boys to stop crying just by taking them outside. Whether they go for a long walk around the neighborhood or just pace the driveway; it didn’t matter. “Changing the subject” was all that baby needed to forget his troubles. 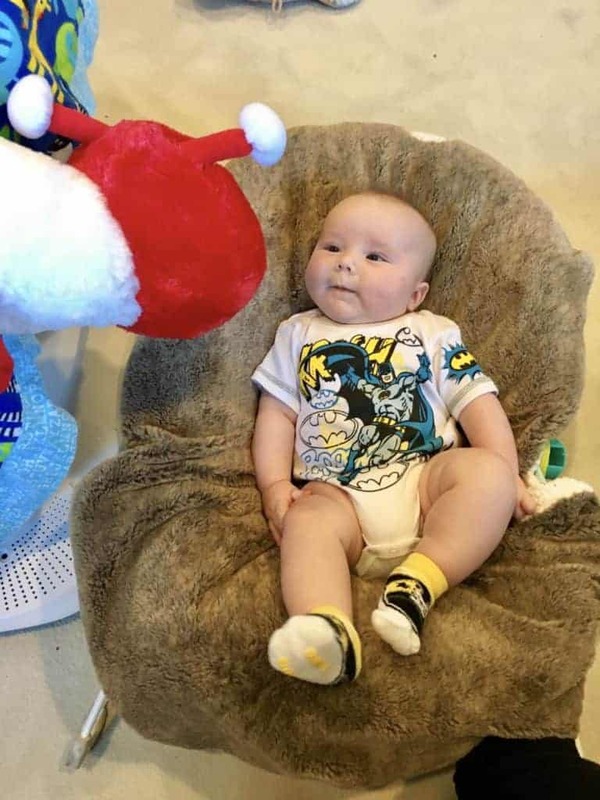 For me, I found that if I made a stuffed animal fly above the baby while making a “woooo-woooo” sound, the baby would snap right out of that crabby state and became fascinated with what I was doing. But until the babies reach about two months old, this one may or may not work. The bottom line is, newborns cry quite a bit. Their little tummies are brand new and learning to digest and handle air bubbles, which means they’ll feel some discomfort now and then. They also have no other way of communicating, so even if it’s something small like an itch, they can’t tell you they’re uncomfortable in any other way. HOWEVER, trust your instincts and contact your doctor if you feel your baby is crying for a more serious reason that requires special care and attention. 9. Realize You Can Tone-Up Without “Working Out” – After the six-week post partum mark, most moms are given permission to start exercising again. Problem is, most of us don’t have the time or energy to do it while taking care of newborns! Thankfully, there are several ways to engage and stimulate our muscles all while taking care of our babies. First and foremost – each time you bend over to pick up a baby, pick up a basket of laundry or pick up a diaper bag, keep your legs straight as you bend forward and then squeeze the muscles in the back of legs, bootie and stomach as you stand back up. Do your best to keep a flat back while doing this, too. This move is called a “dead lift” and it’s great for shaping the legs and strengthening the lower back. Alternatively, instead of bending over, do a squat to pick up that baby, laundry or diaper bag. The key is to make sure your feet are at least shoulders width apart, heels stay on the ground, and your knees never go over your toes as you squat down. Have stairs in your home or live on the second floor of an apartment building? Just going up and down stairs is great for the legs. Be sure to push your weight through your heels and squeeze those glutes as you take each step. Never underestimate the calorie burning and strengthening that can happen while pushing your babies in the stroller! 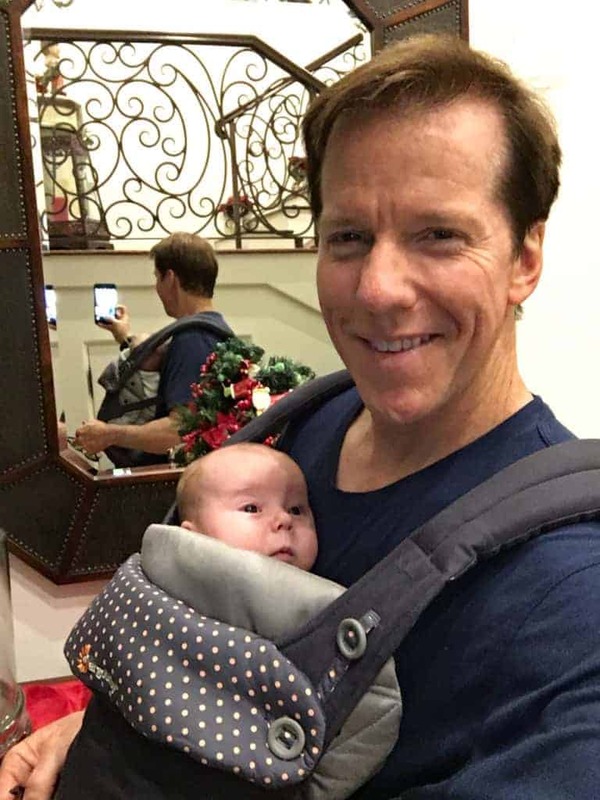 Even now, if I’m unable to fit my workout in during the day, I will put the boys in the stroller just before dinner time and head out for a fast-paced walk outside. If your route includes hills, even better! Lastly, once your babies are strong enough to hold their heads up, start lifting them over your head several times a day. They think it’s great fun and it’s awesome for sculpting your arms and shoulders. Just trust me on this. You’ll be surprised how often you’ll need these things, even if you don’t plan to be gone long. 11. If Your Babies End Up in the NICU, Look at the Bright Side – I was broken hearted when I heard our babies couldn’t come home with us after I was released from the hospital. 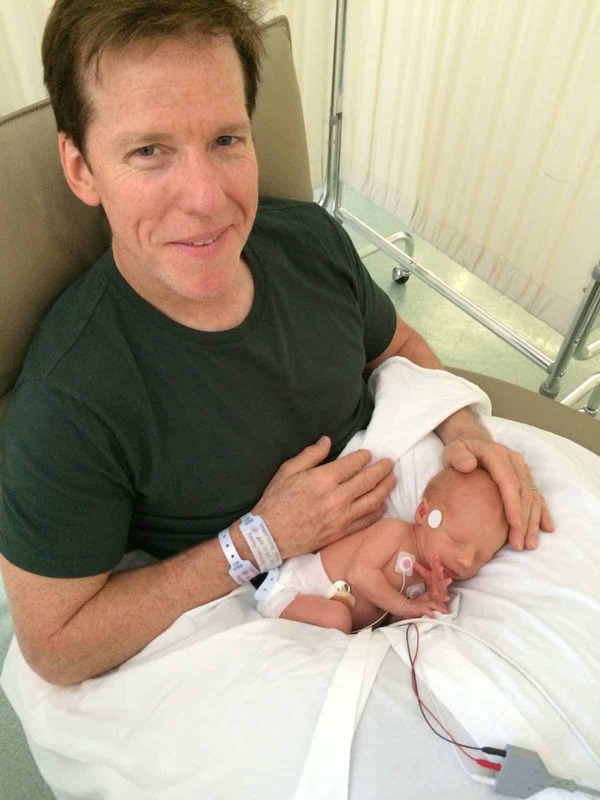 I remember walking out of the hospital with Jeff feeling so empty and sad… Jack and James had just spent the last 35 weeks with me and now we were going to be apart for the first time. To make it worse, no one could tell us how long they needed to stay, as the doctors and nurses took it one day at a time. What we soon discovered, though, was that it all ended up being a blessing in disguise. 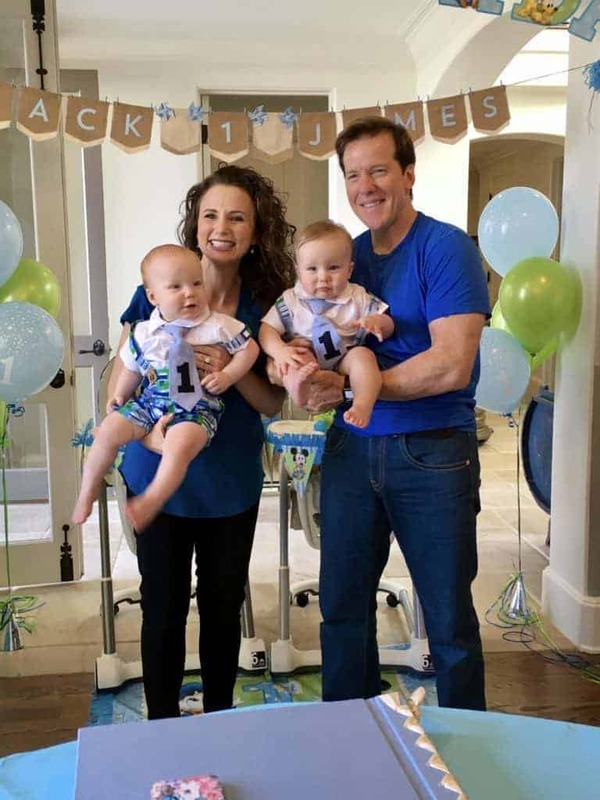 Jeff and I were at the hospital as much as possible during our babies’ eight-day stay, and during that time, the nurses taught us a tremendous amount. 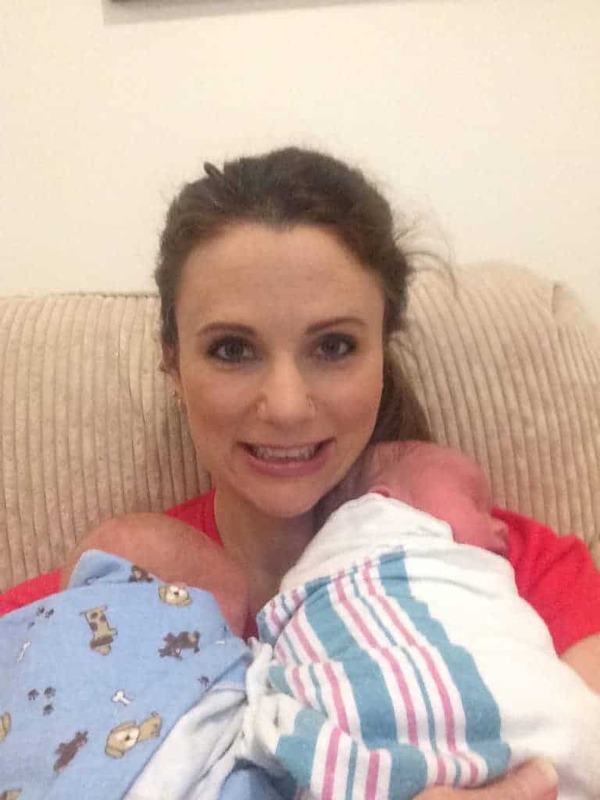 Everything from feeding, to proper burping (not an easy thing to do with a 4 ½ pound baby! ), to bathing, to creating a schedule. 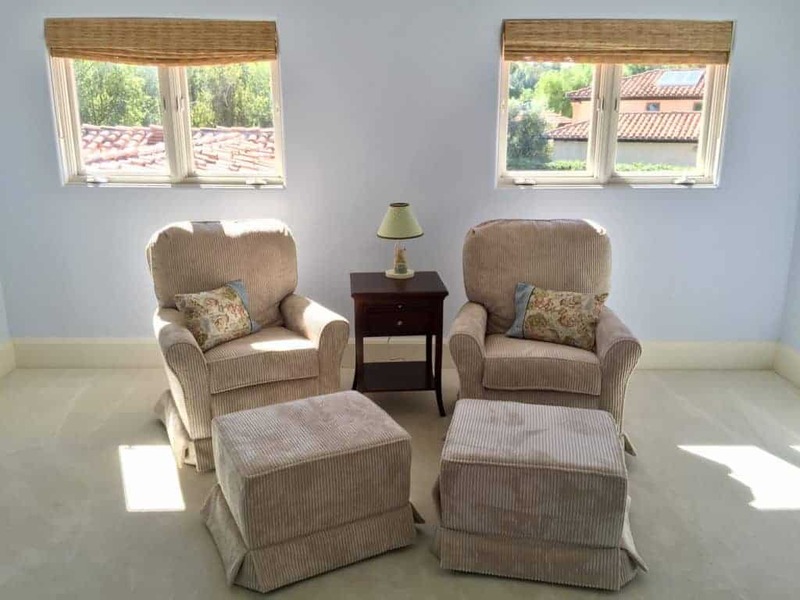 More or less, it was one-on-one newborn twin parent coaching, and we were very thankful for it, despite the sadness of not having the boys at home. For those of you who have babies in the NICU for longer periods of time and for very serious medical reasons, take peace in knowing that the knowledge and equipment the NICU staff possess in this day and age is unparalleled. And thanks to the growing popularity in fertility treatments, multiple births are more common than ever. So if you need support while your babies are in the NICU, there are many forums and groups online filled with parents going through the same thing. 12. 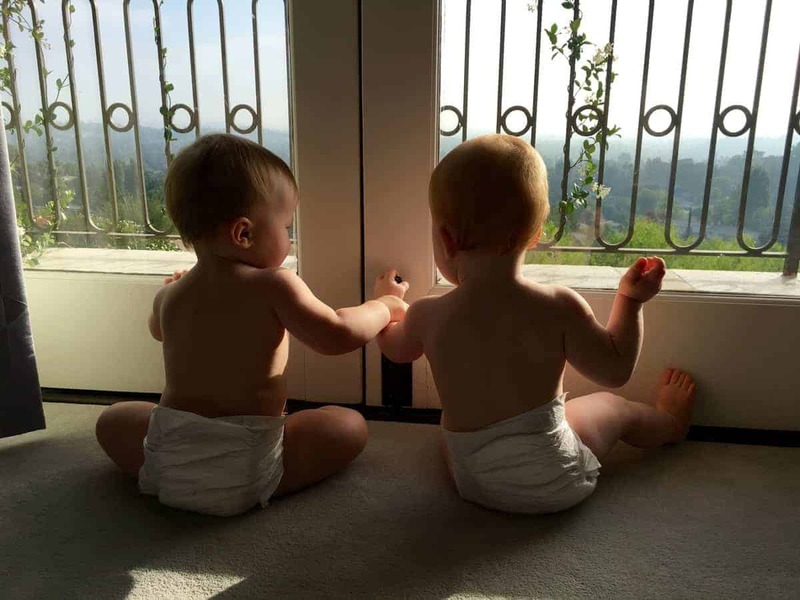 Lastly, Always Keep This in Mind – In the beginning, I felt like my boys were tiny little babies for the longest time and that I would forever be spending eleven hours a day in the nursery. At one point, I remember thinking to myself, “OK… this is my life, now.” But then suddenly you arrive at the four-month mark and things start to change. The babies aren’t crying as much and they’re becoming more predictable. 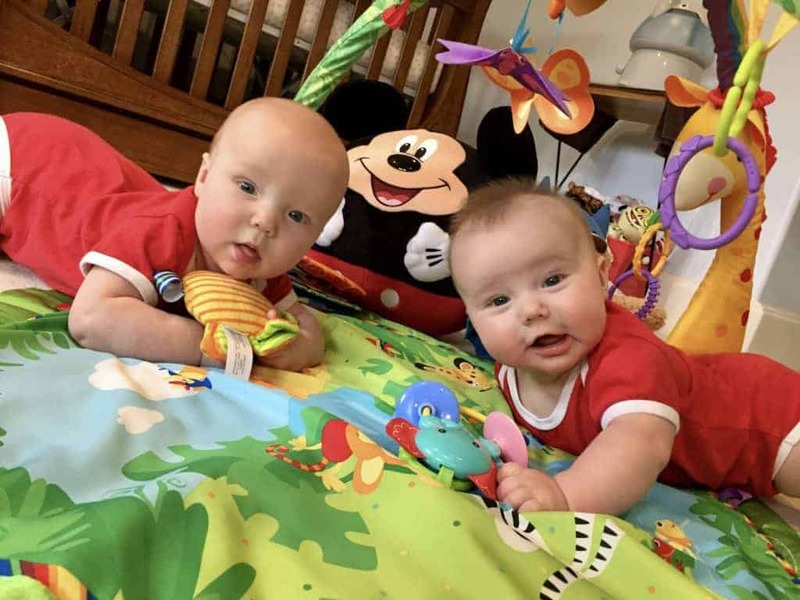 Then, you arrive at the seven-month mark, which is a big one; the babies are sitting up and playing with toys and becoming more independent and eager to crawl. And before you know it, their first birthday is around the corner, and your “babies” are about to cross over to “toddler-hood.” It’s around this time that we start to sort through the photos from the past year and our eyes water at the sight of the tiny babies we once had. Everyone says it; “Cherish these times, because it goes by so fast.” Well, everyone says it because it’s true. So amidst the chaos and the crazy, take lots of videos and pictures to capture this short time. But most importantly, remember to stop and take it in; hold them close, listen to their soft breathing, and feel their eyelashes against your cheek as they blink their sweet little eyes. Soak it in like a sponge, because each stage during that first year is so temporary. 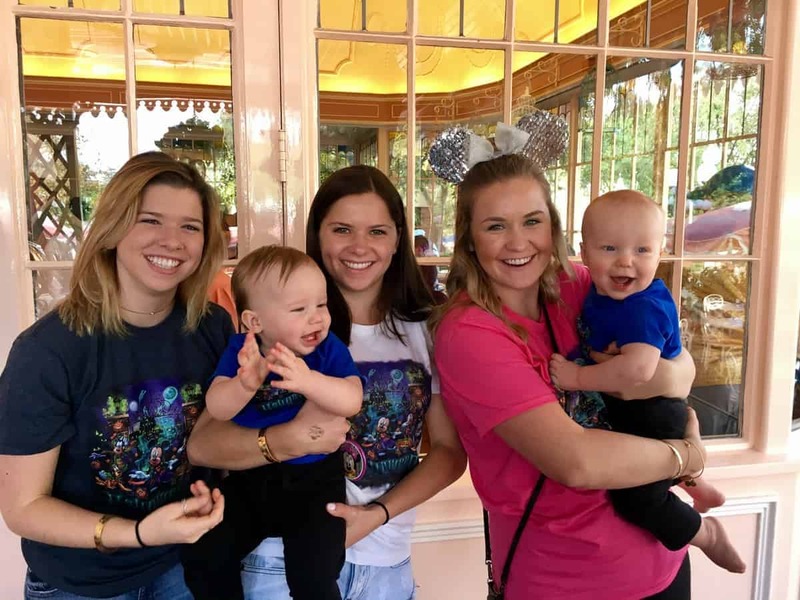 James and Jack celebrating their first birthday at Disneyland with their three big sisters, Kenna, Ashlyn and Bree! And there you have it! 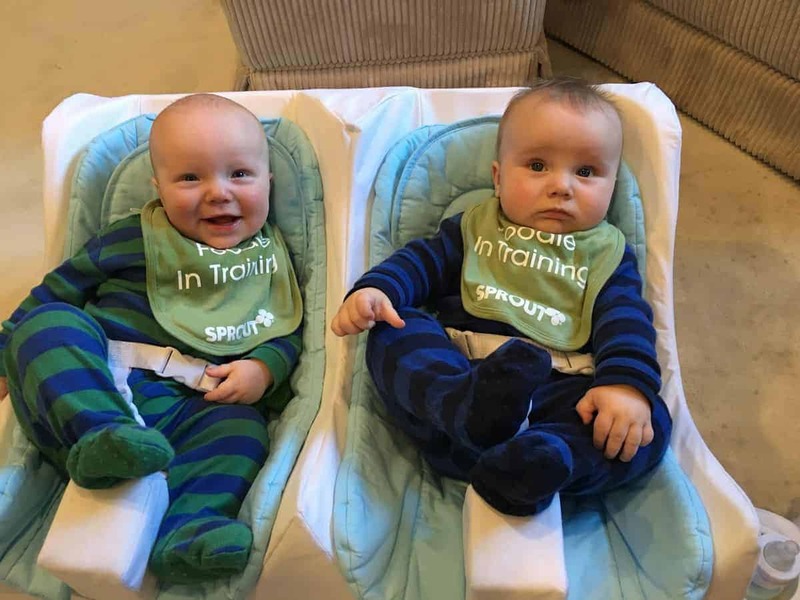 My top tips for new parents of twins. Do you have any questions? Or any advice you’d like to add to the list? If so, please share in the comments below. Im a tWin boy mom who also got diagnosed with cancer when the boys were 3 months old. It has been a little rough goiNg THROUGH chemo and caring for the babies. This list gave me hope that EVERYTHING im experiencing is normal with the twins. I love seeing your little boys. I can’t imagine what you must be going through, Bridgette. I will be thinking thoughts of strength and good health for you and your family.